Afrofusion sensation, Damini Ogulu, aka, Burna Boy delivered an unforgettable performance of his biggest songs at his Coachella debut on Sunday night. The Coachella Valley Music and Arts Festival is an annual music and arts festival held at the Empire Polo Club in Indio, California, USA. It is one of the most famous, and profitable music festivals in the United States and all over the world. Burna Boy who was seen dressed in an eccentric Burberry stripped-fringed jacket and trouser was billed to perform on Sunday night, jumped on stage to perform a medley of his songs. The crowd sang along as he performed ‘Killin Dem’, ‘Dangote’, ‘On The Low’ among others and danced the popular Zanku. 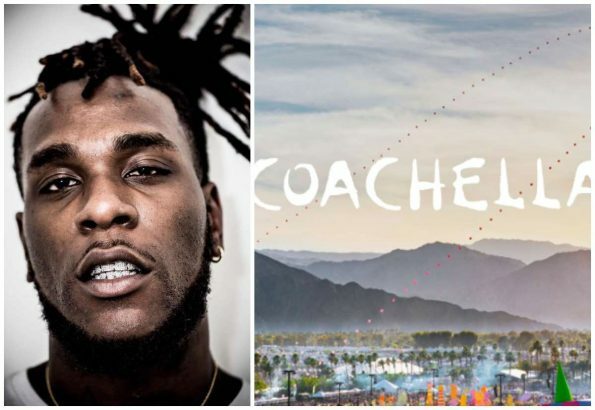 Recalls that Burna Boy had expressed his displeasure over the font size his name was written in on the Coachella poster. He referred to himself as an ‘African Giant’, asking the organizers to respect his status and write his name in a much larger font. He secured the most awards at the 2019 Soundcity MVP Awards, bringing home four plaques including ‘African Artiste of the Year’. He won the ‘Melody of the Year’, ‘Audience’s Choice’ and ‘Best Male MVP’.